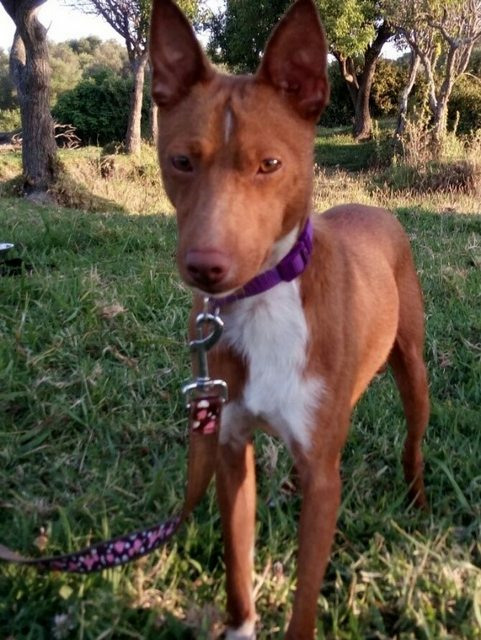 Neco is a 2 year old male Ibizan Hound (Podenco). 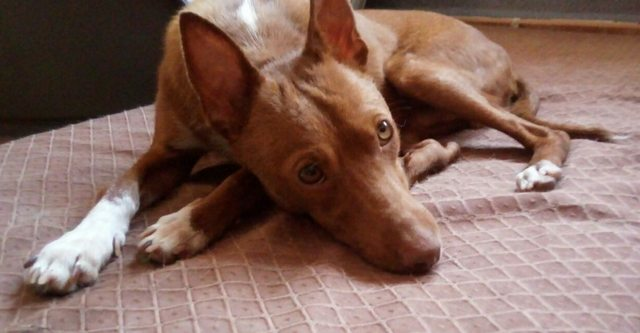 Super little deep tan short coated Podenco boy who stands at 47 cm (18´5 in) tall (withers), and weighs just 9 kg (19 lbs). Neco gets on with every one and is a good all rounder. He’s good on a lead and with other dogs so we are looking for a home with another dog for this sweet little chap. For a couple of days, one of the volunteers at the Spanish rescue saw Neco wandering through a field area near her house. After seeing that Neco was in a state with malnutrition and that he had bald spots on his coat, the volunteer Eva, came to his rescue, after gaining his trust she took him to the vet to have him checked. 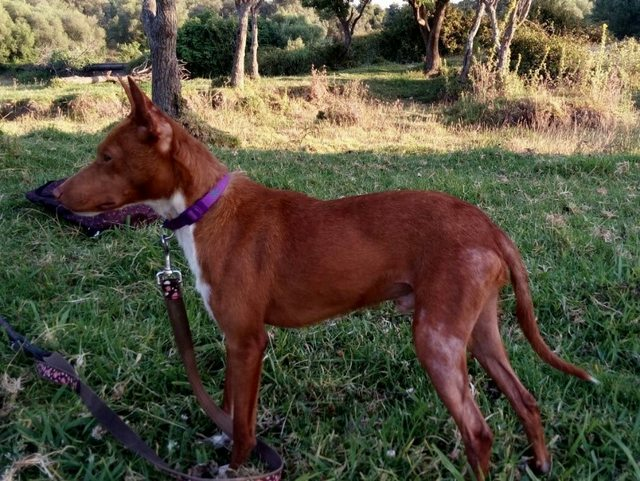 Neco was found in a hunting area, and being a podenco, we can only imagine he was a hunting dog who was no longer required or that he had failed as a hunting dog so had been abandoned. Fosterer’s report : Distrustful at first, Neco has adapted quickly to living with humans, dogs and cats in a home. He is now enjoying walks and cuddles with his foster family. However Neco needs a home to call his own. 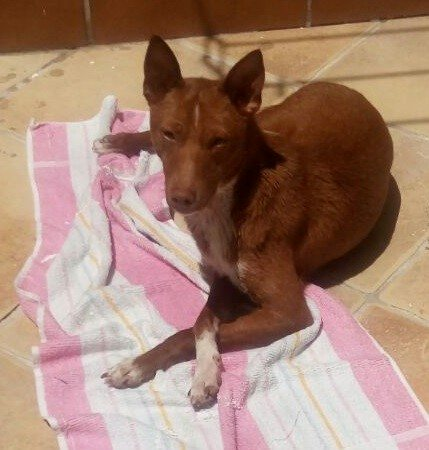 Adoption Fee : £ 275 – to be paid direct to the Spanish rescue to cover travel costs via UK bank account.